I know I know! Christmas is already over, but now that all the gifts that I made have been well-received I thought I would share them with you. Each year I love to give gifts that I have created. I love to create something that makes them think of me and the memories we have together when they see them. They are also personalized so that they meet the needs of the person and their tastes. Ok, I want to start off with one of my favorite type pieces. A very dear friend of mine went through a tough time and didn’t believe that they would get through it. However, after they rose from the ashes of that destruction, we started to talk about how they were like the Phoenix. Every year, I give this friend something that goes along with the theme of rising above your circumstance and setbacks. Each year is a new beginning. You can check out last years here. And the one for this year was a beautiful staff, since we are both nerds, that is designed after the Phoenix. This was drawn with my black .03 Staedtler Pigment Liners, and colored with red, orange, yellow, grey and brown Steadtler Color Pencils. I then decided that taking the grey color pencil and rubbing it lightly over the outer edge of the paper gave the whole thing a new look. Overall, I’m happy with how this turned out and have already started researching phoenix ideas for next Christmas. If you have any ideas, I would love to hear them. 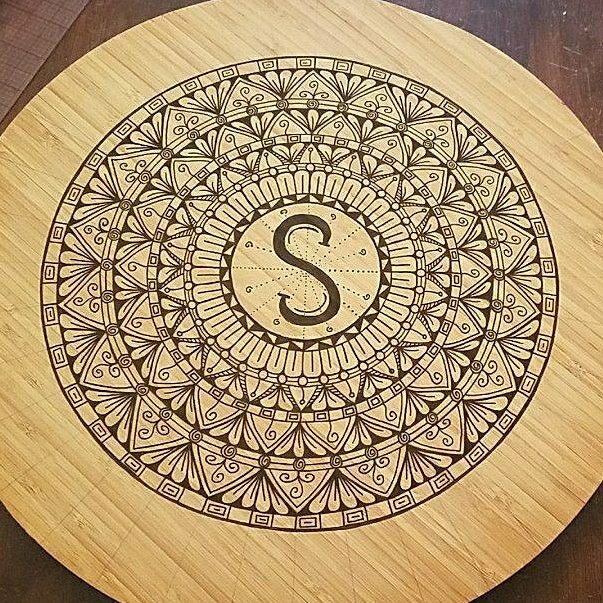 After surrounding the monogram with a very detailed mandala, I then erased my guidelines (still in the picture above) and put two clear protective coats on it. On the night we gave this gift, It was immediately put to use under the salad bowl in the center of the table. The last, but certainly NOT least, gift that I made personally, was for my fiance’s parents. They have been such a wonderful blessing in my life and I wanted to give them something that represented family and unity. 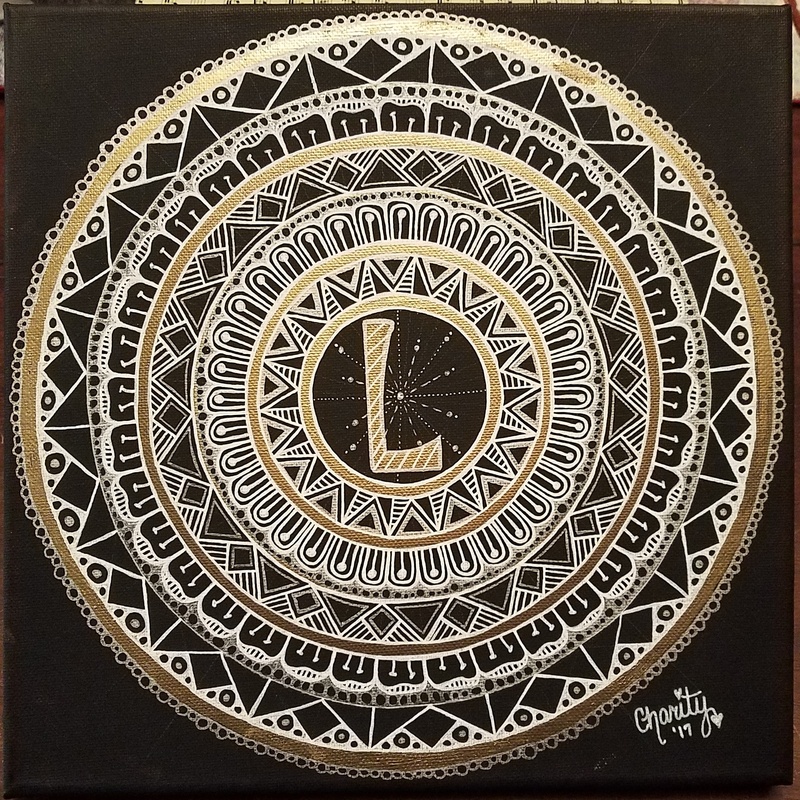 So, like the last gift, I chose to do a monogram again, but with my fiance’s parents last name letter “L”. But unlike the last gift, I chose to paint this on a black square canvas that I had. 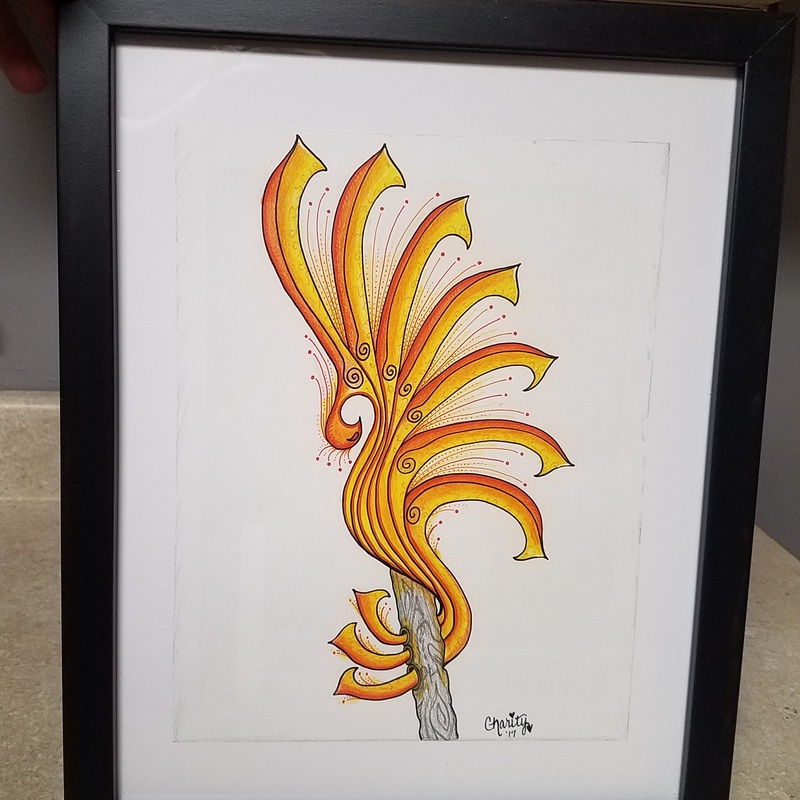 I decided that using my gold paint pen from my table project gave this piece the life it was searching for. I absolutely love how it turned out and they seemed to as well. I am truly blessed to be able to share my talents with those around me. Although these were not the only gifts I gave for Christmas, they were the most personalized gifts and I wanted to share them with you. Please let me know in the comments below, which was your favorite and why. I would also love to know any ideas you may like to see in the future.